Low-fat cottage cheese gives this dish its Healthy Living recipe cred. But it's the garlic powder that gives it its 'tude! 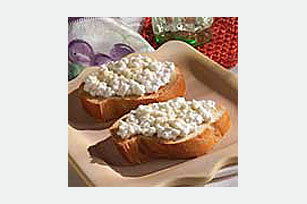 Spoon cottage cheese onto toast slices.